I play Minecraft. One of the things you can do in Minecraft is farm resources. I finished building a greenhouse around an island last night. 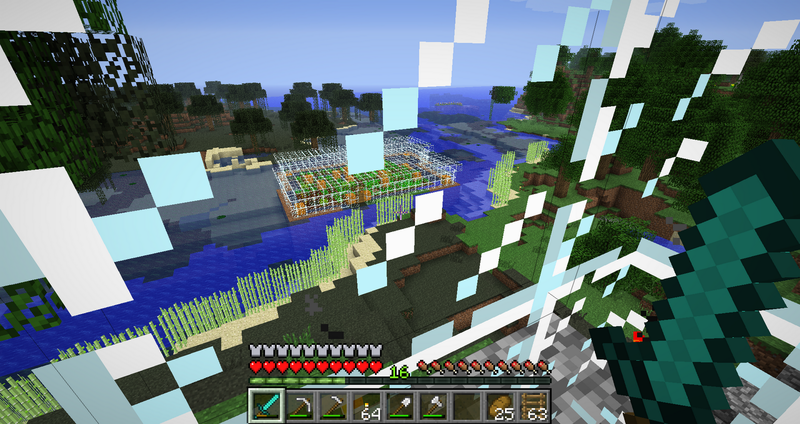 Here is a screenshot of a view of the greenhouse taken from the glassed-in second story of my home base. That is where I grow wheat and pumpkins. The sugar cane plants along the shore line are also part of my cultivation project. Unlike my gardening skills in real life, I'm getting significant virtual return on these plots.